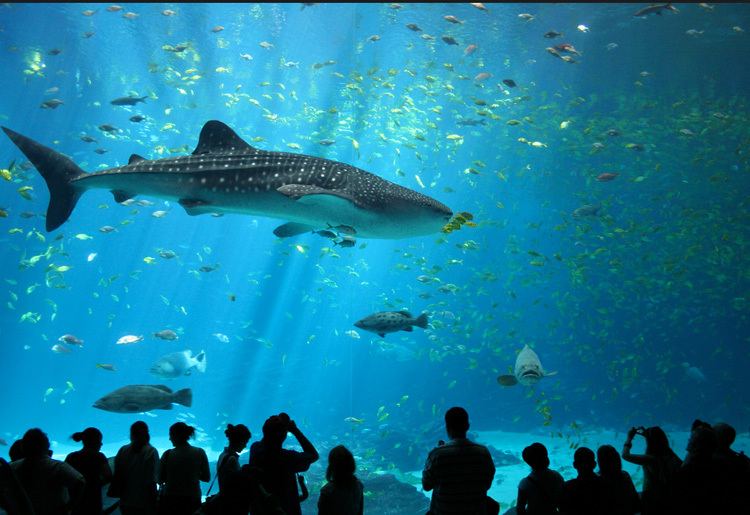 Georgia Aquarium is open 365 days a year. Hours of operation vary. Last ticket sold and entry is 30 minutes prior to closing time. The Alliance Theatre puts world-class work on stage. Home to the Atlanta Hawks (NBA) and Dream (WNBA), keeps it rocking all year long with hoops action and the hottest concerts. Named by Rolling Stone as one of the best arenas in the country. Get an up-close look at our furry friends. News junkies and aspiring anchors unite! Take the Inside CNN Studio Tour. The World of Coca-Cola exhibits are meant to entertain, inspire, and educate. See the Braves at Turner Field! Six Flags Over Georgia is a 290-acre theme park located west of Atlanta in Cobb County. 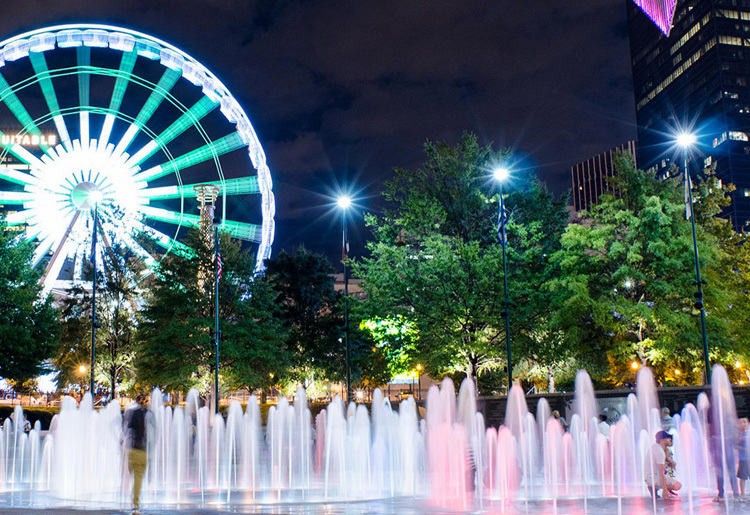 Skyview Atlanta gives you a one-of-a-kind, thrilling look at Atlanta from atop a 200-foot tall Ferris wheel. SkyView’s luxurious, climate controlled gondolas circle high above Centennial Olympic Park 10am until 10pm. Don’t miss the night-time light show! Stone Mountain is a quartz monzonite dome monadnock and the site of Stone Mountain Park in Stone Mountain. At its summit, the elevation is 1,686 feet MSL and 825 feet above the surrounding area. (WPD) in West Midtown is a distinctive retail, dining and residential destination. Tenants include Anthropologie, Jonathan Adler, Room & Board, Seed Factory, Sid and Ann Mashburn, Star Provisions, Billy Reid, Free People, lululemon, Knoll Furniture, Bungalow. Howell Mill Rd. between 14th Street and Huff Rd. This Historic neighborhood is Atlanta’s most popular area for shopping, dining and nightlife. Developed in the early 1900’s, it consists of seven distinct commercial “villages” alternating with short, walkable blocks of charming bungalow homes. Discovering the unexpected is part of the attraction— you may find world-famous musical entertainment at a tiny nightclub or an opening-night party at an art gallery. is a district on the east side of Atlanta, 2 ¹⁄2 miles east of downtown. From home furnishings to high fashion, from bed sheets to the latest shoe styles, the shops at Atlantic Station have it all. With over 50 unique retailers, shops, and boutiques, there’s something here for every taste. Located on the northwestern edge of Midtown Atlanta.